The Meyer lemon is the most widely grown lemon tree in Australia home gardens. And if you are looking for a lemon tree for a small garden, or perhaps growing in a pot, this is the one. 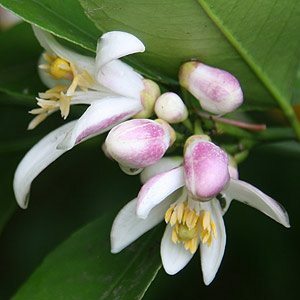 A hybrid tree, Citrus x meyeri , this is cross between a lemon and an orange, however more like a lemon in appearance and taste. Discovered in China by Frank Meyer in the early 1900s, this lemon tree is widely grown across Australia. 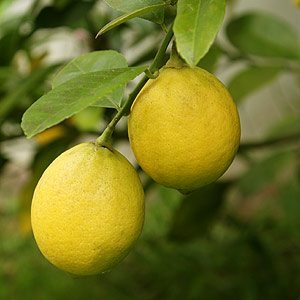 The fruit is a little sweeter than some other varieties, the tree itself is a prolific producer of good juicy lemons, problem free and it is a naturally smaller growing tree than some others. A Meyer lemon tree will reach around 4m in ideal conditions, often smaller than this. This is a tree that is also available on dwarf rootstock and is well suited to growing in containers or for use as an espalier. The fruit is a little smaller than others, a smooth skin that is thin without the mass of pith that some have. They are attractive when on the tree and useful in the kitchen. Ideally you will plant your tree in a warm sunny position in a well drained soil. These are a lemon that prefer a Mediterranean type climate. However we have found them to be versatile, growing well in cool hilly conditions outside of Sydney and Melbourne as well as in warmer areas. We suggest digging in some well rotted compost before planting, especially in sandy soils. Stake young trees to ensure upright growth until established. As for digging in lots of chicken manure before planting, probably not a really good idea, a little yes, to much and you may get root burn. We prefer to use sheep or cow manure for new plants, its a little less harsh. Unless you are growing your tree as an espalier it will require little pruning. Removal of damaged or errant growth is about it. Keep the area beneath the lemon tree weed and grass free, mulch lightly but keep the mulch away from the trunk of the plant. Lemon trees are fairly shallow rooted so they do not like competition for nutrients from grass and weeds. Fertilize with a general purpose citrus fertilizer, or dynamic lifter in spring and again in autumn. This is a sweeter that others because it is a natural hybrid between a lemon and an orange. Discovered in China in the early 1900s. Now a dwarf variety, named ‘Lemonicious’ is available. Even smaller growing it reaches around 1.5 metres in height with a similar spread.